Making "the list" is a hard job. It really is. How in the world out of over 1000 films, is one supposed to pick their 100 favourites? This reflects favouritism. Ideally, while there's the film criticism that is all about pointing out the amount of quality in all of the aspects of a film, there's also the side that looks at how films affect us as people. Which has always been the most important thing to me, and that's all that really matters when making this list. 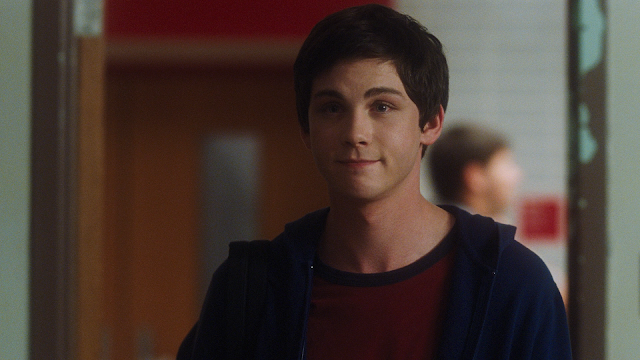 The Perks of Being a Wallflower is at number 18 because it is probably the closest I've ever felt to a film. And because of that, I can look past the fact that I generally don't like Stephen Chbosky's direction or the editing, and it is up there ahead of a film like Goodfellas which I think is technically wonderful and entertaining, but it doesn't hit me as hard as Perks. Memento is simply my favourite film because it has absolutely everything: a perfect script, a challenging premise, amazing direction, wonderful performances...it is the type of film that makes my heart burst with inspiration every time I see it. I'm inspired by almost everything, but that's one of the biggest factors in making this list. If I feel like my heart is going to burst with inspiration, then it must be a good one. As I've grown older, I've come to think less of star ratings. They're just so hard to give out. The funny thing is, is that all of the films I've ever rated 10/10 didn't all get an immediate space in here. In fact, there's some 10/10 films that I wouldn't even consider putting in here (but that's mostly because back in the day I used to give the full quota of stars out like candy at the Christmas parade). One prime example I have of a film without 10/10 that makes it quite high in my list is Black Swan. Here's a film that I can only give 8/10, because I still don't fully buy into Nina's downfall (happens quite quickly if you ask me), but heck, it is so well made and well acted that I can't help but have so much love for it. ...which I try to get as perfect as possible, because it is really all that matters. 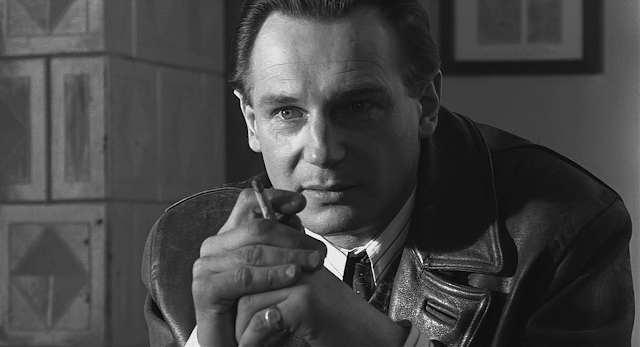 Since I started doing these lists, Memento and Schindler's List have always been in the top two spots (though I have often toiled about their order, but Memento remains unconditionally my favourite). Gone with the Wind, The Dark Knight and Meet Me in St Louis have almost always rounded out the top 5, with the exception of Lost in Translation and Sunrise which managed to get to number four on separate occasions (and they went down a bit this time around - and I can say that's just because of rankings of other films, not because I lost love for these films). Inglourious Basterds has always been in my top ten too. Funnily enough, The Social Network and Inception are two films that I've had a hard time separating, because of the many conflicted feelings I had between the two in 2010, but this year, for the first time, The Social Network made it into the top ten, ahead of Inception. That's based purely on rewatchability. And growing up, I suppose. But while my top ten has almost always had the same films in it, there have been two films that have dramatically changed: Eternal Sunshine of the Spotless Mind and There Will Be Blood. At the beginning of last year, Eternal Sunshine was number eight. Now it is number 75. I guess you can say that rewatching did that. Same with There Will Be Blood. The last time I did one of these lists (a year ago), it was number 64. Now it is number 9. But that's really the only dramatic change in the top 10. Probably because I like that top 10 to reflect longevity more than anything. Makes it sound like the Billboard Top 40 or whatever, but hey, I have fun making these lists. And I found it interesting to see how much they've changed over the past two years. So what are your favourite films, and why do you love em as much as you do? Definitely agree with the way that you go about making your top 100 favourite films, especially on the impact that the movies you put in your list have on you. They may not necessarily be the best films in the world (and I don't think that anyone would be qualified to tell us what is, since there are going to be so many films that even the most knowledgeable film-watcher hasn't seen) but they're the ones that mean something to us. There is a massive difference between best and favourite, and I think a lot of people get the two confused - it's all opinion based, anyway. I think you point out the reason why I got rid of my 100 favourite film list - that there are so many ones you wanted to include, but haven't. Maybe they'll be a rise in favourite film lists that aren't in number categories? Anyway, great post, as always. I hate the whole "best film ever" thing. No one will ever know what the best film ever is, so what's the point in trying? A favourite list without number categories would be good, I imagine. But I am so OCD about order, haha. Mind you, the ranking is what gives me the most grief when making these lists. Thanks! Oh, making a 100 Favorite Films is just so hard... it's almost even harder to update it, I feel. There are thousands of movies you want to add but so few you want to remove. I often thought about removing mine but then again, I love reading other people's lists. Because they're inspiring and a great way to explore new movies. Anyway, I think you're right about going the Favourite Movie way instead of Best Movie. Sight and Sound can do the analyzing bit, our advantage as bloggers is that we can look at movies from personal angles, and we're allowed to do that. Looking forward to checking out your new list. 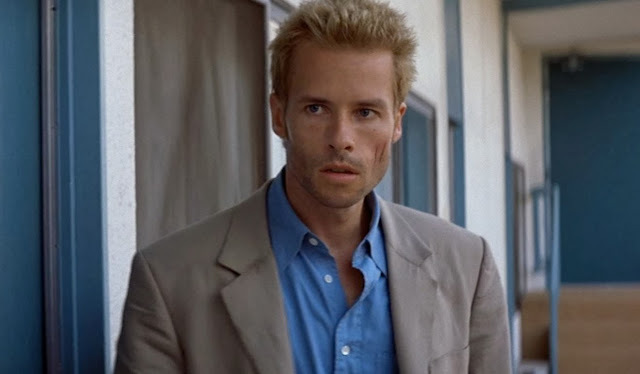 And shame on me, because I still haven't seen Memento. It is SO hard to update them! I was somewhat lucky this time around because I haven't seen a lot of films in the past year, so I only had 18 new entries that I really wanted in my list. But then there's the 18 that I had to take out...that's where it gets tricky. YES. Blogging is personal! Not a reflection of everyone else's opinion! YOU HAVEN'T SEEN MEMENTO? Argh, you must! Yeah, I go by heart in my list too. Like Harry Potter is my number 2. I know that they aren’t the “best” of movies, but they’re my childhood and I would not have fallen in love with films if I had not fallen in love with those films first. I don’t know what it says about me but I don’t think my top 10 are going to change anytime soon. I hate updating my list. The films you exclude- it feels like you are wronging them. Who am I to exclude such incredible films from my measly little list. But I love you so much more for having Harry Potter as your number two, rather than feeling you had to place The Godfather or something up there (unless, of course, you really love The Godfather). Yes, I felt like I had to send personal letters to all of the filmmakers of the films I excluded apologising for their exclusion. It is so heart-breaking, actually. But it must be done! Awesome, awesome post, and pretty helpful. I usually year-end Best-Of-Lists based on ratings and how much I remember the movies, how much they impressed me, etc. But when it comes to Alltime Favorite lists, I usually struggle. I forget films, I remember certain films not as good as others, I brood over trifles like "should I put it on #23 or #24?" etc. Thanks! Yes, the ranking is so hard. Is it Flickchart or something to that degree that pits films against each other? I'd probably have a very different list if I used that to make my top 100. That reminds me, I still have The Celebration in my room which I need to watch! Good luck with your list, let me know when it is done! Stevee, these reasons are the main obstacles to me ever creating a list of this type. I can't even pick my favorite movie! How can I do 100 and rank them? It's just such a tricky proposition. I love Serenity and have watched it a ton, but is it really in my top five? This is the challenge with this type of list. You just have to run with it and find something that works. I know! It really is quite a difficult task, but I've found it easier and easier. Aw man - what did Chinatown and The Red Shoes ever do to you? Thank-you though, this is precisely what I wanted to know about, and I had to smile at how often I was physically nodding along with you! Favorites will change as the years pass, since not only is there new material to suss through, but we change so very much! Once upon a time, I even wrote a post about the handful of films that have held the number one spot for me through the years. My Top 100 is on Letterboxd - one of these days, I really should think about finding a spot for it on The Matinee, and it gets updated every March. The biggest news this year was THE APARTMENT cracking the top five. We grew apart :( I don't know what happened, I haven't seen them since I first saw them and they just don't have the same impression. We'll see how they hold up on a rewatch. Definitely put yours on The Matinee! I find that if a blog has a list, I instantly feel connected to that blogger. I think it is just the best way to reflect a movie blogger. Anyway, I'm glad this is the post you wanted! That is hard to do as I'm thinking of doing my own 100 films list for the end of the year as I think it's time. Having done The List before and recently updated it, I can totally get you and actually agree with a lot here. Inception is my favourite film but I'll be the first one to agree it's not the best film ever. Watching a late night show on opening day and then discussing 'What the hell that ending was?' till 3:30 in the morning in the theater parking lot made it my favourite. I also find myself going to their rewatchability often. Lot of films didn't make the cut this time around simply because I haven't had the urge to watch them again for a while now. These films certainly reflect list-maker's personal taste and it's kind of interesting to see our tastes evolve. I keep record of all the changes for the same reason. My Top 10 didn't change much this time around either. City Lights made it's way in and no. 5 and 6 swapped places. That's it! Yes - that's why I love Inception, purely because of how I felt after I first saw it and the obsession that came after. But no, it isn't the best movie I've ever seen. I find my top 10 never changes, it takes a very special film to make it in there! As exhibited by There Will Be Blood this year. Brilliant post! I love the way lists always change over time. Rewatching is a big part of that. I try to update my top 100 list every six months, because it often changes drastically. My last update saw 20 new films enter the list, and one (Vertigo) jump 50 spots into my top 5. I wish my top 10 films were as concrete as yours have been. I even changed favorite films, swapping The Apartment (now at #9) with Three Colors: Blue (was at #2). I like the change I suppose, but it annoys me that I can't make a definitive list. Right now, my Memento and Schindler's List are Three Colors: Blue and The Seventh Seal. They're the first two films I'd name if you asked me to give the best examples of the art of filmmaking. For me, they're the pinnacle, but that might change in time. I don't think anyone could ever make a definitive list - we watch too much for that. Maybe when we're 90 years old and have seen everything we need to see, but even then I don't think it could be definitive. Those films are the pinnacle now, so that's all that matters!